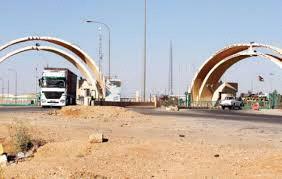 AMMONNEWS - Arrangements were made with the Iraqi government to expedite the entry of Jordanian trucks loaded with perishable crops, so that trucks will be allowed later to enter directly to the end importer in Iraq, said Minister of Agriculture and Environment, Ibrahim Shehadeh. In a statement to Petra on Wednesday, Shehadeh noted his visit to Iraq was "very significant," adding both sides agreed on an action protocol functioning as an umbrella to activate previous agreements. The minister said the two countries should work on exchanging agricultural commodities and give reciprocal priority in case of any shortage in this field. The minister said the two sides also agreed to launch a training program aimed to improve capabilities in the fields of rainwater harvesting, seed multiplication, aquaculture and livestock.